What has been reported on since 2007 is now confirmed by senior US military leadership. 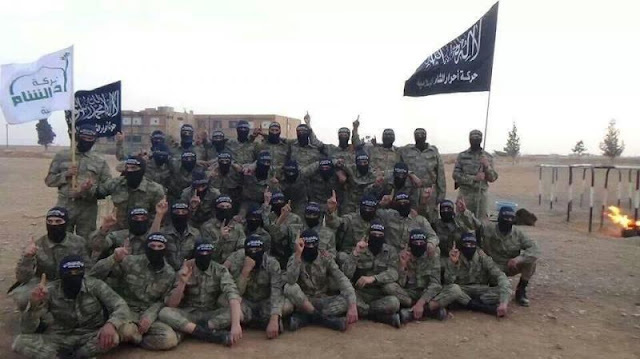 The US created and now plans to openly use Al Qaeda to overthrow the nation of Syria. 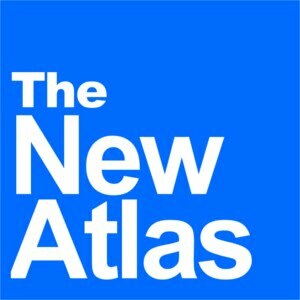 September 2, 2015 (Tony Cartalucci - LD) - The Daily Beast's article, "Petraeus: Use Al Qaeda Fighters to Beat ISIS," reveals the final piece to the "safe haven" or "buffer zone" puzzle, providing the world a complete picture of how the United States and its regional allies, including Turkey, Saudi Arabia, Israel, Jordan, and others, plan to finally overthrow the government in Damascus, and eliminate Syria as a functioning nation state through the use of listed terrorist organizations responsible for over a decade of devastating global war. Image: September 11, 2001, nearly 3,000 people would die in attacks on the World Trade Center in New York City, the Pentagon in Washington D.C., and a downed plane over Pennsylvania. 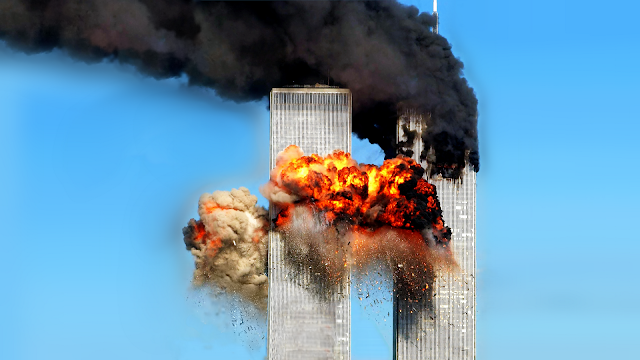 The attack was attributed to Al Qaeda by the United States government tipping off over a decade of global war against "terrorism" that would leave entire nations destroyed and millions of lives ruined. In addition to Petraeus' alleged plans, the Daily Beast reports former US Ambassador to Syria Robert Ford also advocated supporting terrorists linked directly to Al Qaeda, including the Ahrar al Sham faction. However this "proposed" advocacy is an afterthought - a matter of public perception management - as terrorist organizations like Ahrar al Sham and the Al Nusra Front already are receiving significant US backing either directly or laundered through one of America's many regional collaborators. Ahrar al Sham's extensive video documentation online shows the group even employing US anti-tank TOW missiles. Ultimately, negotiation and amnesty programs with extremist groups must enter the U.S. counterterrorism repertoire if reluctance to military deployment continues. Brookings describes almost verbatim the proposal put forth by Petraeus and Ford, indicating this plan is more deeply rooted as a matter of policy than indicated by the Daily Beast. Indeed, the Daily Beast's shocking admission is not the entire truth. 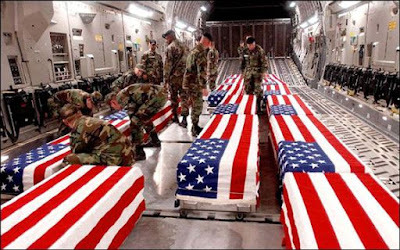 In reality, the United States had already conspired since as early as 2007 to use the Syrian Muslim Brotherhood, Al Qaeda and other hard-line sectarian militant groups to violently overthrow Syria in a bid to wage proxy, then eventually, direct war on Iran. Image: Terrorists fighting under the banners of Al Qaeda and Ahrar al Sham whom former US Ambassador to Syria Robert Ford seeks to arm and back in America's bid to overthrow the sovereign government of Syria. . This reveals that not only did the US and its allies seek to use Al Qaeda as a proxy in fighting Syria and Iran, it also sought the creation of a "Salafist principality," and specifically in eastern Syria - precisely where the "Islamic State" exists today. With the Daily Beast's article serving as the most recent affirmation of this documented conspiracy, there should be little doubt remaining that the creation and use of Al Qaeda and the so-called "Islamic State" (ISIS) was a premeditated strategy to overthrow the Syrian state with irregular asymmetrical warfare where direct Western military intervention could not succeed. Readers of the Daily Beast might be tempted to believe that the US plans to either begin arming these extremists groups - ignorant of the fact that they have already been armed by the West and its allies for years - or will increase existing support. However both assumptions would be wrong. Every dollar, every weapon, and every foreign fighter on Earth the US and its collaborators could find and feed into the Syrian conflict has already been sourced and sent to Syria. It simply has not been enough. 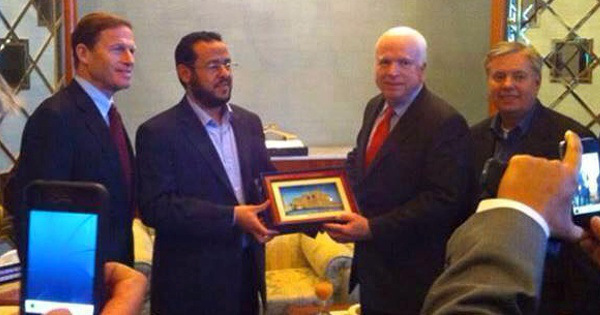 Image; US Senator John McCain posing with Al Qaeda's LIFG leader Hakimabdullah Belhaj, now head of ISIS' Libya franchise. The US along with other NATO and Persian Gulf states, provided Belhaj's terrorists air cover, weapons, cash, and special forces in their bid to overthrow the government of Libya in 2011. And like in Libya where NATO's ground forces - essentially the US listed foreign terrorist group the "Libyan Islamic Fighting Group" (LIFG) - failed to take the country on their own with covert support alone, the only other option when proxy ground forces fail to produce results is to provide them with direct military support including air cover, special forces operations, naval support, and signal and intelligence assets. In Libya, the use of NATO airpower tipped the balance in the conflict decidedly in favor of Al Qaeda's LIFG faction, eventually overturning the government in Tripoli, and leaving the North African nation in the hands of these extremists ever since. Libya would serve as a springboard for US-NATO aggression elsewhere throughout the Middle East and North Africa (MENA) region, including Syria itself. 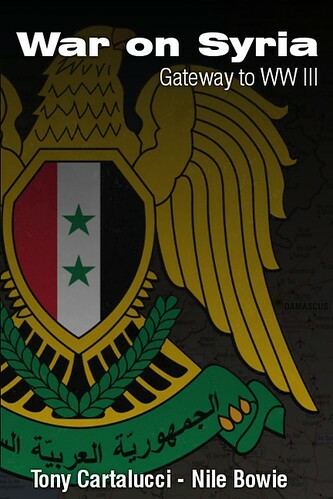 Image: Northern Syria. 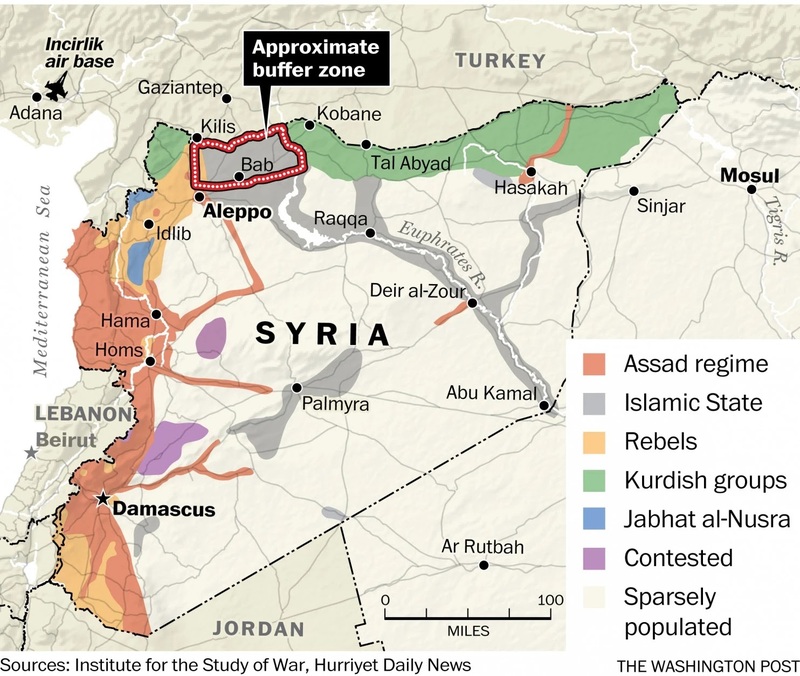 Syrian forces and Kurdish militias have all but sealed off Syria's border with NATO-member Turkey. What is left the US and Turkey have attempted to turn into a "safe haven" protected by Western military forces. In reality, this aims at keeping Al Qaeda and ISIS supply lines open and provides a springboard toward establishing "no-fly-zones" across wider swaths of Syrian territory. With the West's ground proxies in Syria at the limit of their operational capacity and still unable to achieve the ultimate objective of overthrowing the Syrian government, it is apparent that the West is now preparing to intervene more directly. Already a so-called "safe haven" or "buffer zone" has been designated in northern Syria in the last remaining logistical corridor feeding ISIS and Al Qaeda forces fighting inside Syria. While the West claims this zone will be used to provide sanctuary for refugees and "moderate" fighters, it is clear by the Daily Beast and Brookings report that no such "moderates" exist. Instead, the "safe havens" will be used as the final refuge of Al Qaeda/ISIS, protected by US, NATO, and Persian Gulf airpower and special forces. From there, what would be essentially a no-fly-zone would be extended southward providing these terrorist forces protection as they operated more effectively and deeper into Syrian territory with the ultimate goal being a Libyan-style finale to the now years long conflict. In essence, the United States and their allies are preparing to provide Al Qaeda/ISIS an air force to tip the balance of the conflict in their favor. While Al Qaeda was initially conceived by the US and its Saudi allies in the 1980's to fight the West's proxy wars for them, first in Afghanistan against the Soviet Union, the last decade of using this terrorist organization as a pretext for global military conflict instead of as a direct proxy has taken its toll on the public's perception. To recast Al Qaeda as once again "freedom fighters," ISIS appears to have intentionally waged a propaganda campaign designed to portray itself as the most extreme, barbaric terror organization to ever walk the Earth. This included well-funded, professionally executed productions showing ever more creative yet horrifying atrocities committed against ISIS' captives. This also included the systematic and tragic destruction of Syria's historical sites, including Roman temples as well as the execution of respected historians charged with their study and care. At the strategic level, the United States remains staunchly in the macho mantra of “We’ll never negotiate with terrorists!” During the heyday of the Global War on Terrorism, ripe with venom after the fall of the twin towers on 9/11, this position seemed noble and just. But 14 years later, the al-Qaida that perpetrated the atrocities of September 11 hardly exists aside from Ayman al-Zawahiri and a few remaining disciples. The dwindling number of al-Qaida affiliates show fewer ties back to the original perpetrators of these attacks. Nearly 3,000 were killed on September 11, 2001 on US soil. In the wars that would later be predicated on this attack and the "threat" of Al Qaeda, some 1 million Iraqis would die, tens of thousands of Afghans perished, as would over 4,000 US and other coalition soldiers in over a decade of global war. 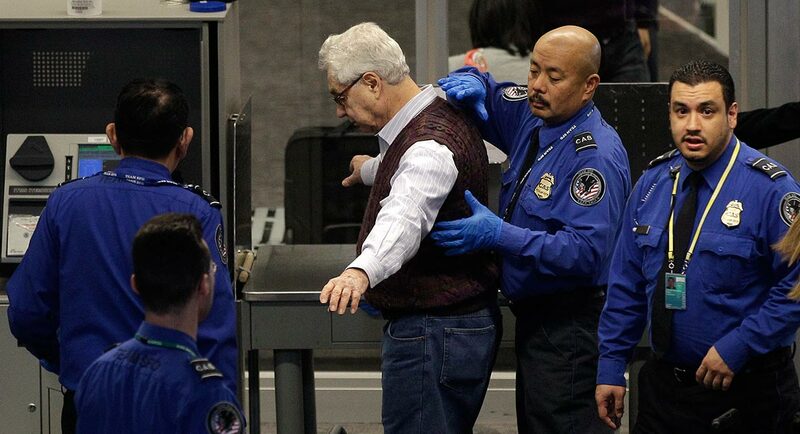 The creation of the Transportation Security Administration (TSA) and its increasingly pervasive/invasive security measures imposed upon the American public are likewise predicated on the threat of Al Qaeda. Across America, the fruits of this global war is endemic paranoia, the broken bodies and minds of neglected war veterans, and a nation whose people and resources have been pillaged to fight what is apparently a non-existent threat so benign, the US is now prepared to build it up into a functioning, standing army and assist it in seizing one nation after another across the MENA region. Over a decade of global atrocities committed against both nations abroad and against the American people themselves has finally come full circle. A conspiracy to create a regional front from the very enemies the US was at the time citing as justification for the "War on Terror" is now being implemented in full. It is a conspiracy that has transcended two presidential administrations - evidence that US foreign policy is driven not by the aspirations of the American people through their elected representatives, but by unelected special interests who pen policy papers that are simply spun around whichever political narrative is prevailing at any given time. During the Bush administration, that narrative was the "War on Terror." During the Obama administration that narrative was the "Humanitarian War." In reality, it was a singular, continuous agenda that has seamlessly moved forward to where it stands at present, with the US media attempting to convince the American public and the world's population in general on the eve of yet another 9/11 anniversary, that Al Qaeda are the "good guys" and now is the time to hand them the nation of Syria.